Beginning in October of 2017, home sales increase by a good margin. The trend continued through our winter months, which is unusual. To date, they have continued to be well above the past several years. The recent activity of Buyers looking and recent contracts seem to indicate this will continue through this season. For Buyers this is good news. Especially in demand are lakefront properties around Lake Glenville. Unfortunately, there are few homes for sale on the lake. The other consideration is pricing. Homes priced well sell quickly. Homes that have been overpriced for some time may have developed a stigma as such. When this happens, this can be bad news for Sellers as homes that are overpriced tend to not be shown as often. While it may seem that such a market is good for Buyers, because the market has been down for some time, home values have not seen a significant price increase, yet. What does this mean? It has long been considered a “Buyers Market” in this area for quite some time. Homes appear to have been overpriced, thus the reason they only brought 91.77% of asking price for the month of June. As a result, Sellers have still been willing to bargain. However, with the market showing a favorable increase, Sellers may begin to be more reluctant to deal on their asking price. Now is the time to take advantage of the current market. However, many Buyers are finding that if they see something they like, they need to make an offer and get it under contract. So, why are Buyers reluctant to make an offer? Home Buyers come from all over the country. They may have purchased homes elsewhere and not realize that laws are different in different states. For instance, in NC, you can make an Offer To Purchase with an Ernest Money Deposit. This obligates the Seller to the Buyer. However, the Buyer can pull out of the contract for any reason or no reason during the Due Diligence Period and get all of their Ernest Money Returned. In other words, make an offer and get under contract. The Seller is then obligated to sale. However, the Buyer is not obligated to complete the Offer To Purchase. You have the Due Diligence Period to do all your inspections and make sure you want to close the sale. The Due Diligence Period can be set for any amount of time that both parties agree upon (IE.- 10 days, 20 day, 35 days, etc). The big thing Buyers need to remember is that if there is no contract, there is no sense in doing a lot of other work. The Seller can sell the home at any time. Get it under contract before someone else does. Your broker can help you through this. 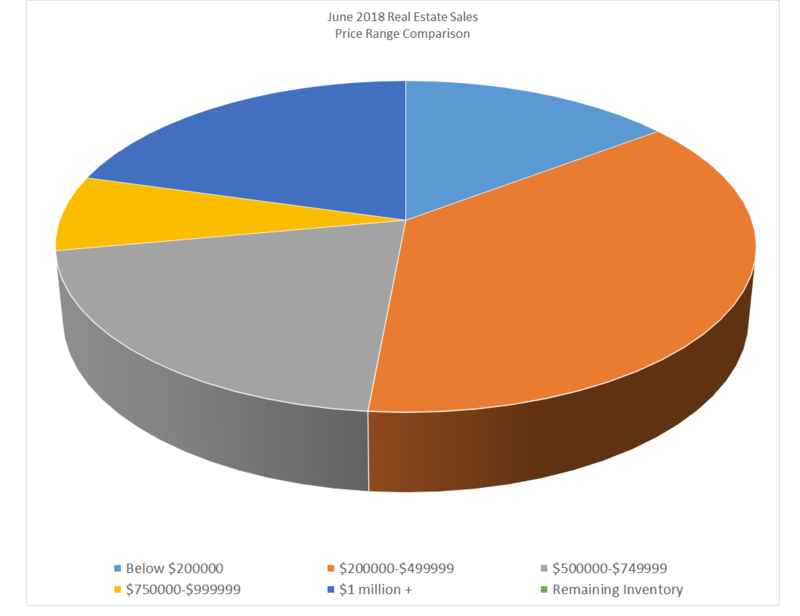 So, how was the real estate market for June? Total homes listed in Highlands/Cashiers MLS: 906 This is about 325 fewer homes than June of 2017. This is good news for the real estate market in this area. 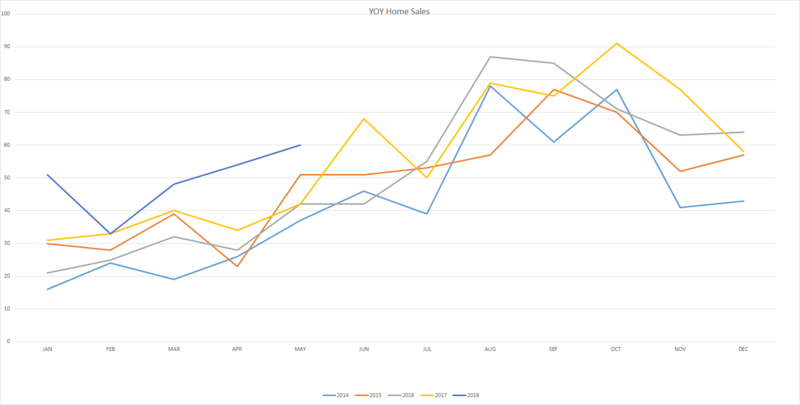 Homes Sold This Month: 70 This is a consecutive high since Oct. 2018. 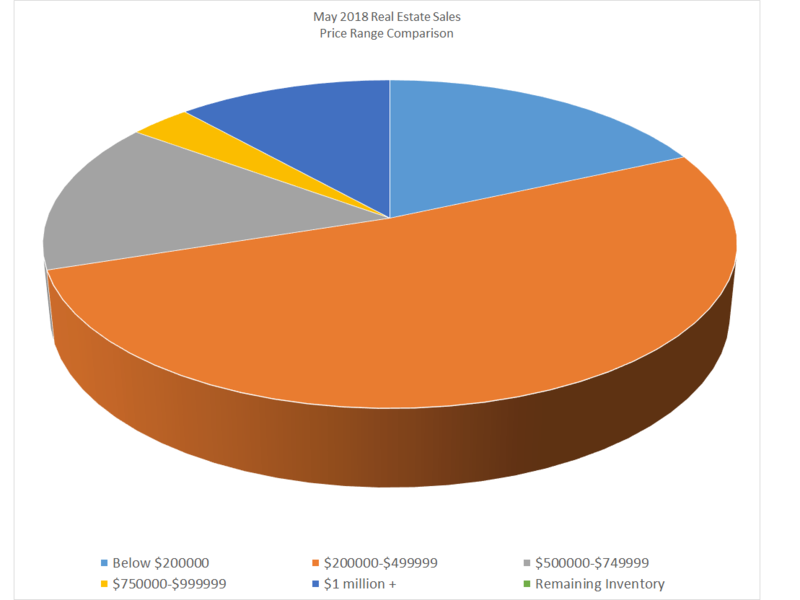 Average Unit Sales per Month/1 Year Average: 62 This average is a much better determining factor for inventory than month to month sales as these fluctuate greatly depending on the season. Average DOM (YOY): 334 Again, the yearly average is a better determining factor. Average List/Sell Ratio: 91.77% – This continues to show that this market is overpriced. If you’re priced right, you will sale. However, overpriced homes don’t show as often. Synopsis: There are plenty of of positive signs for this market. Not only are the numbers good, but there is more traffic on web sites and in office from walk-in’s. Inventory: 50 months. With over 4 years of inventory there is no real demand for land. This continues to hold land prices low. Synopsis: This is the second month high in land sales. So, some increase has been seen. Remember, though, this is for all of the Highlands, Cashiers, Glenville, Sapphire and Toxaway areas. All of these combined have only seen 22 parcels sold. 36% of home sales ranged from $200,000 to $499,999. 20% of home sales ranged from $500,000 – $749,999. There is a clear difference between May and June home sales comparisons. There was a significant increase in homes ranging from $500,000 – $750,000 as well as an increase in home sales over $1,000,000. both of these ranges nearly doubled or better. BUYERS: Inventory has been reduced. Days On Market are Falling. The market is showing stronger signs. Delay in purchase now could mean having to pay more later. Remember, get it under contract so the Seller is locked in at the price you agree upon. There may not be a better time than now to purchase. SELLERS: You have many positives to consider. One of these is if your home is priced correctly or not. Buyers are buying. If your homes not selling, maybe you need another opinion. CONCLUSION: Homes are selling and more inventory is needed. Already, there is a huge demand for Lakefront homes on Lake Glenville. Land sales are increasing, but not at nearly the rate of home sales.